A senior political commentator believes that all parties to the ongoing conflict in Syria, including the Assad government and the opposition groups, have the will to the end the six-year war. 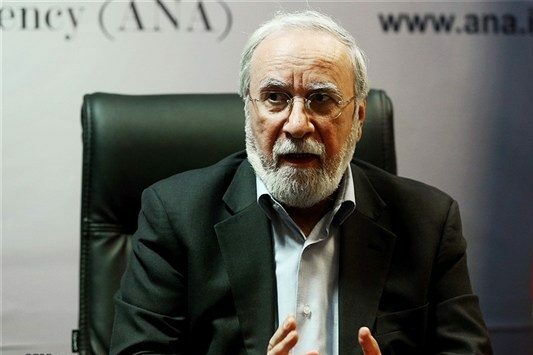 In an interview with the Omid-e Iran e-paper on Wednesday morning, Iranian political analyst Sabah Zanganeh weighed in on the ongoing negotiations in Astana, Kazakhstan, and the opposition’s flip-flop approach toward the peace talks. The Syrian opposition that had attended previous negotiations in the Kazakh capital, Astana, called for the postponement of the third round of talks claiming the Damascus government had breached its commitments in Homs. The opposition’s request was turned down by Iran, Russia and Turkey, which have brokered the Astana talks. As a result, the new round of the negotiations was attended by delegates from Tehran, Moscow and Ankara as well the Syrian President Bashar Assad’s government without the presence of opposition groups. But the opposition’s non-attendance does not mean a complete breakdown of the talks. Six years on since the outbreak of a bloody war in Syria, now everybody in the country needs a ceasefire. The opposition groups, Syrian people, the Assad government and the Syrian army as well as their allied forces all need a ceasefire. Today, all parties to the conflict have shown that they have the will to end the conflict. It is natural that parties to any political dialogue will resort to different ploys to gain concessions. The negotiators use horse trading, bargaining, meeting walkouts, delayed attendance and other tactics to secure as many concessions as they can and change the climate of meetings in their own favour. Using such ploys in political and diplomatic negotiations does not mean the talks have completely failed. Moreover, the opposition has not announced that they do not accept the Astana talks in principle. The opposition’s [initial] refusal to attend the latest round of Astana talks does not mean an end to the current ceasefire brokered by Iran, Russia and Turkey. The indications are that the ceasefire will remain in place and the opposition, by gaining concessions from the Damascus government, will agree to take part in the upcoming rounds of talks again. The truce in Syria, which has lasted for quite some time now, will be a prelude to later steps aimed at settling the Syria crisis. That would help lift the blockades, send in aid groups and dispatch humanitarian aid to war-battered areas, and expand the ceasefire to areas still gripped by violence. In the forthcoming talks in Geneva, the delegates will discuss political ways to establish a transitional government, draw up the Constitution and hold nationwide elections. Both the Syrian government and Syrian opposition have shown in recent months that they are determined to participate in the negotiations and stand ready to attend the talks, be it in Astana or Geneva. Moreover, both sides are willing to implement the decisions that would be made during the meetings. The Astana talks are necessary to maintain the current ceasefire in Syria. Neither side can advance its plans without taking part in the negotiations. If either side walks out of a meeting today, it will return tomorrow, because they know dialogue is the only way to resolve the Syria issue. This has been proven to all parties to the conflict after six years of death, destruction and bloodshed.